Earlier this year, Westfield Washington Schools decided it was time for seat belts on school buses. 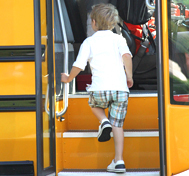 Where they started with them could be a model for other school districts to follow. 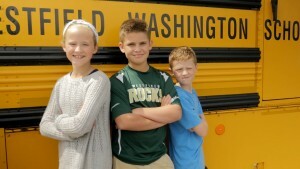 IMMI, owner of SafeGuard seats, created a video for Westfield Washington Schools to help teach kids how to properly buckle up on the school bus. Featuring local teachers, locations, and lots and lots of Westfield kids, “Groovy Bus” will help kids correctly buckle up for years to come. “My son and my niece both did it,” Lori said, “and they had a blast doing it. After seeing the video put together they thought it was a pretty catchy tune. Every once in a while I’ll catch him kind of humming it,” she laughed. “But I thought it was really cute. I thought it was fun. I thought it was very instructional on how to do the seat belts. 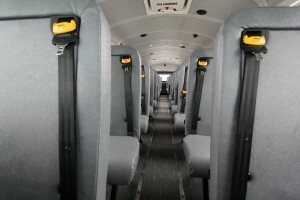 The “Groovy Bus” song will also be given to other school districts that have SafeGuard lap-shoulder belts on their buses, so that they can put their own creative and unique production into it. You can check out the “Groovy Bus” video below.